This product was added to our database on Wednesday 9 july 2008. 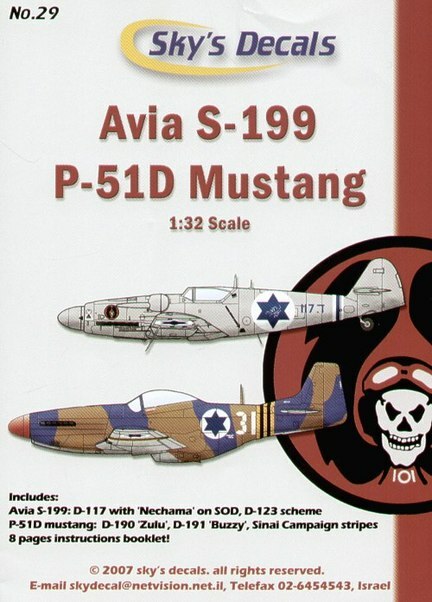 Israeli AF Avia S-199 and P-51D Mustang. P-51D from 101 First Fighter Sqn overall grey; 105 The Scorpion Sqn and 116 Flying Wing in blue/brown camo.